Ironman Wales race reports are already appearing and many share a common theme – a tough day of racing. Not that we should expect anything less from the Tenby course. This year conditions were less favourable than in 2012 and adjustments had been made to the course. 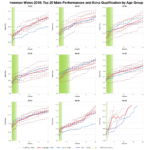 Both factors impacted on the results with slower finishing times than previously seen at Ironman Wales. 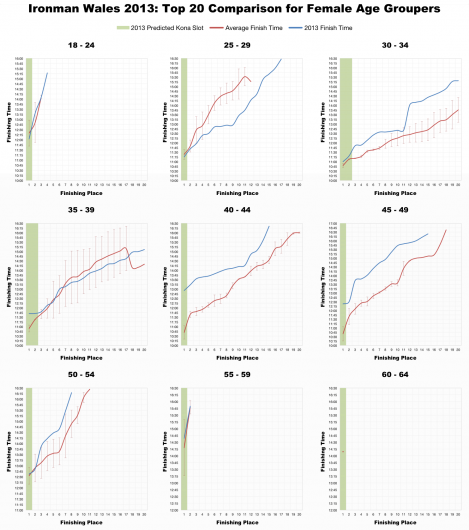 The two charts above confirm that 2013 was slower than either of the previous 2 years of racing in Tenby. 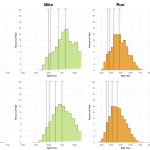 Bike splits are broadly comparable, but swim and run are distinctly slower and the cumulative effect is slower overall times. 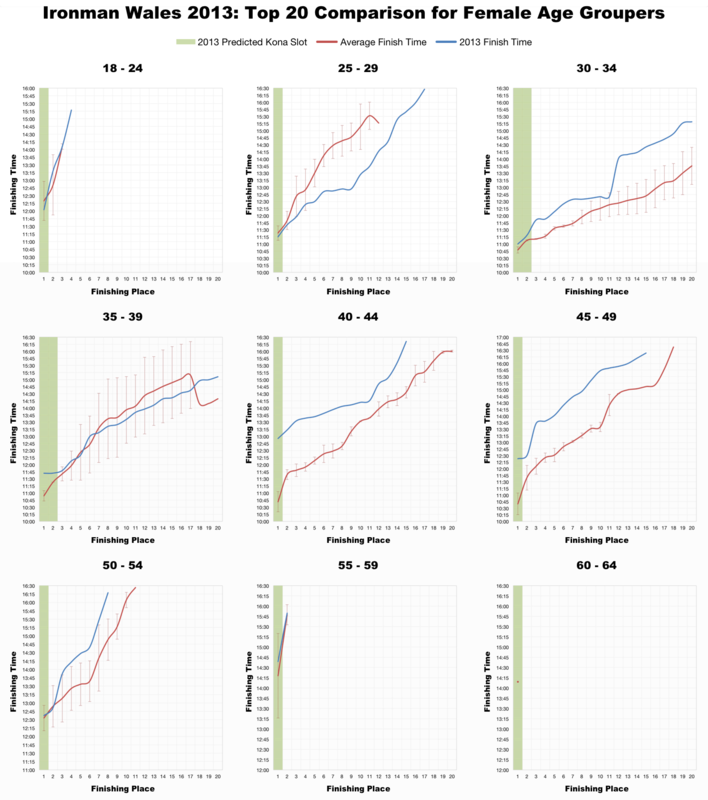 The variations in conditions and course over the 3 years that this event has run can explain much of this difference; this year, for example, the marathon appears to have been the full distance (based on the GPS data I’ve seen), making it unlikely run times would match 2012. Comparing median splits from 2013 with the previous two years supports the above observations. 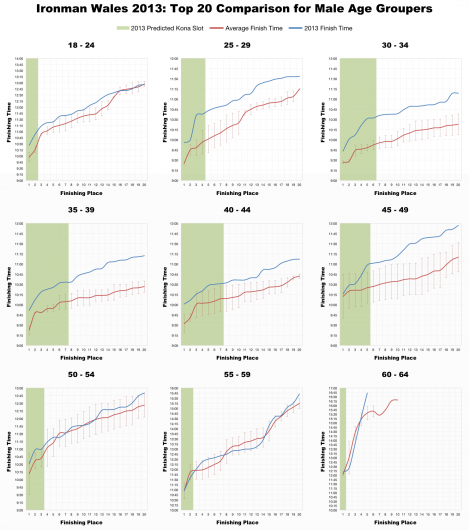 Swim and run averages are distinctly slower than before, while bike times remain roughly the same. I think it’s fair to conclude that the changes to the course and the conditions on the day made for a slower race this time round. 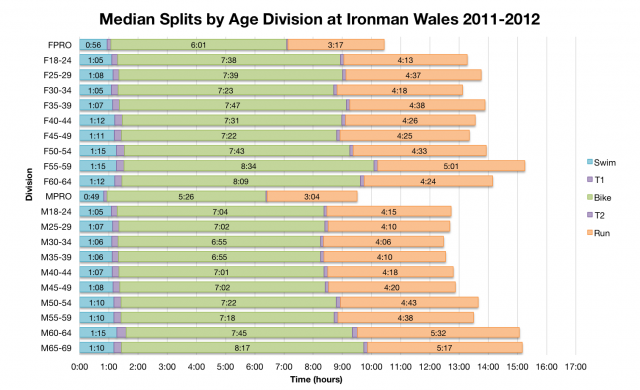 It further cements Ironman Wales’s reputation as one of the tougher Ironmans in the season. Finishing times from the top twenty in each category also reflect a slower race with few exceptions. Taking the male age groups between 25 and 45 the finish times were slower than previously seen, while the difference between first and tenth remains largely the same. 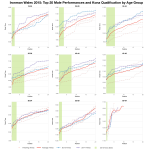 As usual the picture from the women is less clear, the consequence of a much smaller and more variable field of athletes. 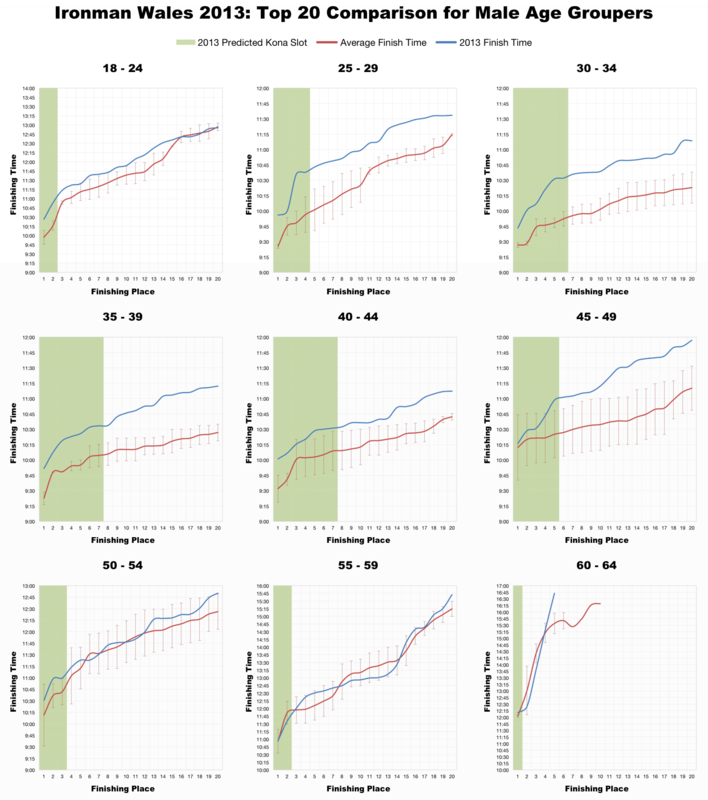 One age group is actually faster than before and others very close to previous results, but still a number are significantly slower. Conditions influenced everyone from front to back of field. 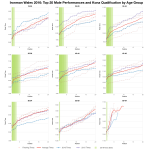 From a Kona qualifying perspective the last 2 years were a poor indication for almost every age group. The same relative effort was required for qualification, but resulting times were slower. Hopefully, as with Ironman Japan, we’ll also see a list of qualifiers published after the roll down. Ironman Wales lived up to its reputation. It was already one of the slower courses on the circuit, this year even more so. Aside from an unfortunate mechanical incident results for my athletes racing in Tenby were largely positive – they finished their seasons well. 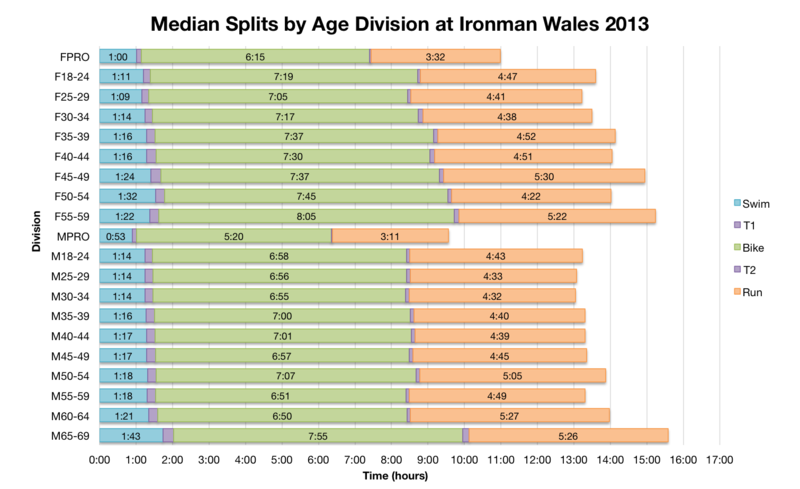 I’ve uploaded a spreadsheet of the full results and splits for Ironman Wales 2013 to my Google Drive.